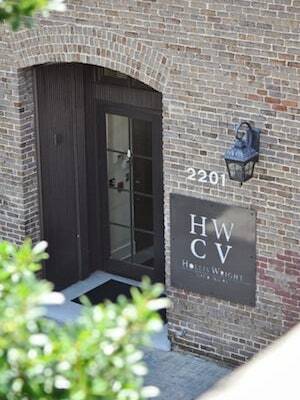 Located in Birmingham, Alabama, the Birmingham personal injury attorneys of Hollis, Wright, Clay & Vail, P.C. are licensed in Alabama, Tennessee and Mississippi. We handle cases that involve serious personal injury and death, including car and truck accidents, industrial and premises accidents, medical malpractice, nursing home malpractice and defective products —pharmaceutical/drug, medical devices, consumer and household products, commercial products and automotive products. The attorneys at Hollis, Wright, Clay & Vail, P.C. are some of the most experienced and accomplished attorneys in the state in pursuing injury claims involving motor vehicles and trucks. The attorneys have also developed a unique niche in handling claims against restaurants, bars and stores that unlawfully serve or sell alcohol to intoxicated individuals who in turn cause injuries to another as a consequence of the alcohol consumption. The attorneys have consistently achieved great results for individuals and families that have been victimized and injured due to the unlawful sale and consumption of alcohol. Our attorneys continue to play a critical and vital role in many national litigation matters related to mass torts, involving defective pharmaceutical drugs, dietary supplements, medical devices and medical implants. Our attorneys have served in numerous leadership roles in national litigation projects and have earned the respect of their peers as well as their opponents in this legal practice area. Our attorneys are currently representing numerous individuals that have been hurt by defective drugs and medical products. If you have been seriously injured or lost a loved one in an accident, it is likely that you have incurred medical bills and lost wages and are also enduring physical pain and discomfort, emotional and mental anguish. You may very well have sustained a permanent injury or disfigurement as a result of injuries from the accident. You may be worried and scared about your future and may wonder where to begin in terms of navigating the oftentimes confusing legal process of seeking compensation for your injury. If so, the Alabama accident attorneys of Hollis, Wright, Clay & Vail, P.C. can help! Each of our attorneys brings unique qualities to serve our clients with excellence. We focus on representing individuals injured in accidents and also on victims of various business disputes. All of our attorneys have devoted their entire legal career to helping and assisting injured victims. These years of experience in the field of civil personal injury have proven to be invaluable to the overall representation of our clients and success of the law firm. We live up to our motto in the number of successful verdicts and settlements we have won for clients in the past, and in our dedicated focus on results that will satisfy our many clients now. The Birmingham personal injury lawyers at Hollis Wright have achieved some of the larger verdicts in our state in their professional careers. The Birmingham accident attorneys at Hollis Wright work hard every day to "level the playing field" for injury victims, consumers, and businesses with a level of quality and service more commonly associated with the corporate community. Every attorney and staff member dedicates his or her career to obtain justice and fairness for their injured clients. Our attorneys have faced insurmountable odds and challenges over the years on behalf of clients but were ultimately able to achieve outstanding results due to tireless work and effort. The Hollis Wright attorneys are always honored and humbled by an injured person’s willingness to place trust and faith in them at a time where their individual circumstances may seem hopeless and desperate. At our firm, a qualified lawyer is always ready to assist you. If you are interested in speaking with an attorney who cares about your personal situation as well as the success of your case, contact the personal injury and business litigation law firm of Hollis Wright, for a free consultation and assessment of your case. The law firm takes your personal injury claim on a contingency fee basis, meaning there is never a charge unless you collect compensation for your injuries. Evening and weekend appointments are available for your convenience. Support is also available en español. 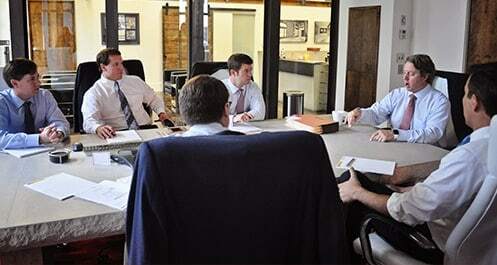 The experienced Alabama accident and injury attorneys at Hollis, Wright, Clay & Vail, P.C. are ready to assist you. Call us locally at 205-324-3600 or toll free at 844-529-8255, or contact the firm online, for your free initial consultation with one of our accident and injury attorneys.